I love our history department and I love how committed my colleagues are to creating engaging lessons for our students. Recently, I've been working with my department on how best to approach the three massive documents California Social Science teachers are supposed to incorporate in their classrooms. This slide deck reviews how I approach the new California Framework and the existing California State Standards. What I have found most useful are these planning sheets (Grade 8, Grade 10) I use when working through what I've used in the past and comparing it to what the Framework asks teachers to now focus on. I plan to create another deck with resources on how to mix the framework, content standards, and the CCSS Literacy Standards but for now feel free to check out this deck! It works kind of like a Hyperdoc so feel free to click the links and engage in the activities. There are a lot of arguments to be made about pedagogy and edtech. We could have a long discussion about the SAMR model. We could talk about the many reasons why technology could never replace teachers. We could talk about how much time students already spend in front of screens. But today, I just want to talk about why it is so important to find ways to incorporate technology in our classrooms because if we really want students to be college and career ready we have to embrace the fact that their experience is one we cannot truly predict. Yes, it is true that I barely remember life pre-personal computer in my home. In middle school, I was able to recreate the sound of our dial-up internet perfectly. By high school, I thought I was the queen of the AIM Away Message. In college, I had a LiveJournal and my college actively campaigned to be added to this new social networking thing called "Facebook." But in school, I only took two classes dedicated to computers. I remember them both vividly. One was a typing class, they put these cardboard covers over the keyboard and we had to type away blindly. I spent an entire semester of my life where one hour a day was spent just typing. My average speed is 65 words per minute and I wear that badge with far too much pride. Then I took "Intro to Computers" where I learned how to use Microsoft Word and Microsoft Publisher (Is that still a thing? Does it exist?) I learned how to change the font size, change the margins, use a hanging indent, and save the file in several different formats. That's it. That is all the formal education I got on computers from school. Everything else I know I learned because I had to in order to survive the job market. I graduated college in December of 2007. It was a terrible time to have a BA in Political Science and only customer service jobs on my resume. I took any and every job I could, often working multiple part time jobs at once because that is just how the world was in 2007 for a new graduate. But I moved up quickly with almost every job I had and the reason was always because of my ability to adapt to technology. For example, when I started working in property management I moved from sales to accounting because of my ability to quickly learn accounting software. I should point out that my experience with math had been one of failure (I had to repeat a math class in high school and it was devastating) but once I was able to prove I could quickly learn the technology needed for the job, I found myself managing multiple properties at the age of 23. I credit that quick rise to two things: hard work and an ability to adapt to technology. They didn't offer classes on the software, I had to figure it out on my own or get left behind. But that tech grit helped set me apart and helped me keep a job that put me through my credential and masters program so I could ultimately do what I was passionate about: teach. I tell this story because it is the reality our students will face. When we talk about making technology as a part of making students college and career ready, it is not about ensuring they know how to use a specific list of digital tools. It's not that our students need to be Microsoft experts or Google certified, it is that they need to be comfortable learning how to use technology on their own because that is what they will face in the real world, no matter what job they have. So in my classroom, technology is something I feel compelled to use in a variety of ways so students can learn and develop their tech grit. No, technology cannot replace outstanding teachers and no, you shouldn't use technology just to say you used technology and no, technology is not the most important thing in my classroom (that will always be relationships.) Like any part of a good lesson plan, it is a piece of something bigger, something more thoughtful and complete that helps the student achieve a learning goal in a meaningful way. 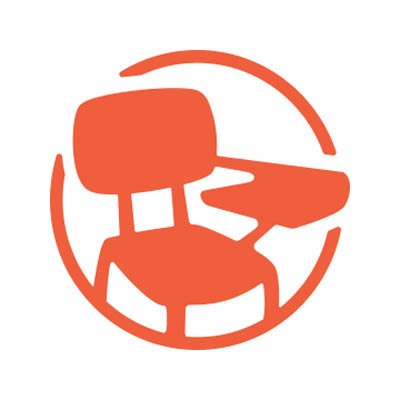 What are your thoughts on technology in the classroom? Share in the comments. Today I want to share a lesson I made based on this Vox Article. I think maps in the history classroom are incredibly important tools for helping students understand the world. They can tell stories in unique and engaging ways and far too often map work if simply coloring, labeling, and memorizing. What I love about that Vox list, is that the maps tell stories that are much more rich and engaging than "here is where things are." 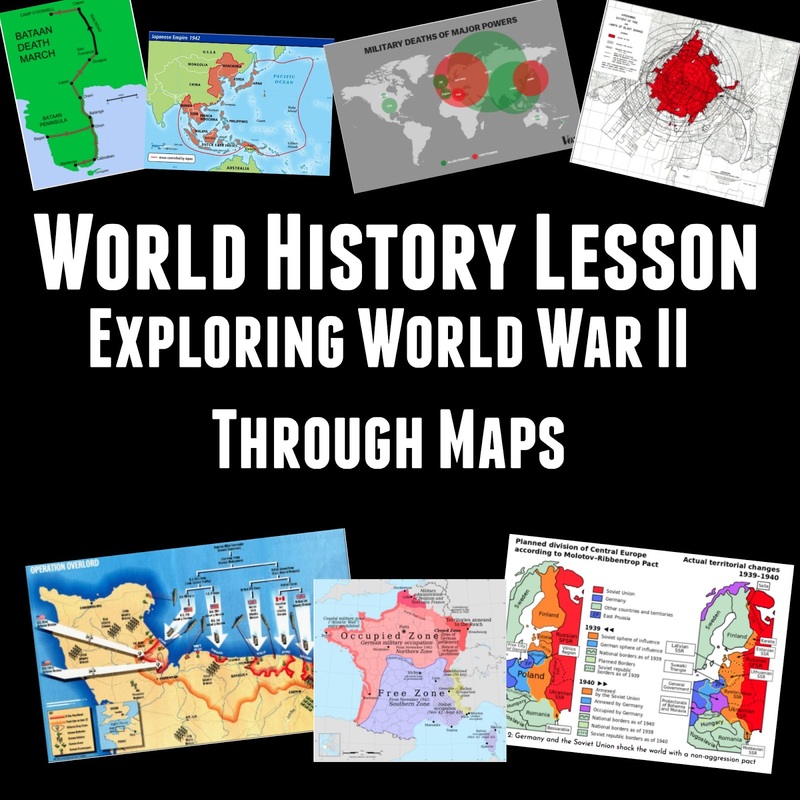 I decided to make an introduction to World War II where students explore some of the maps from that article prior to diving into any of our World War II content. I took 14 of the maps from that article and created a Google Slides deck from them. 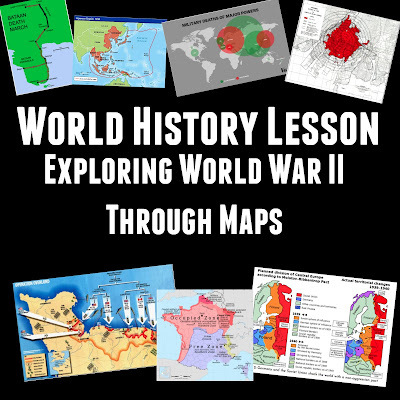 I will either have students explore the maps on their devices using this link (http://bit.do/WWIImaps) or print the maps and do a gallery walk. I created this worksheet to go along with it and plan to host a discussion with the class, reviewing their answers to the reflective questions when they are done. Looking for more lessons for your World History Classroom? Join my mailing list or check out my Teachers Pay Teachers store. Do you teach World War II? Do you have a favorite map that you use to teach the content? Share in the comments! Recently I wrote about some of my favorite tech tools you can use in class to get students sharing what they've learned. By far my favorite for ease of use is Adobe Spark Video. While it does not have the most features and it is not the most complex video creator out there, it works incredibly well for creating videos in the classroom. 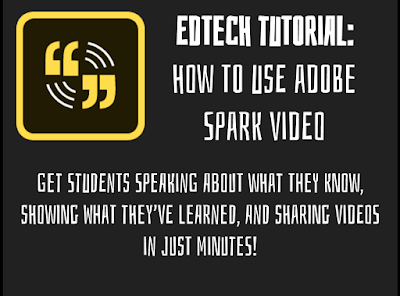 Adobe Spark is fairly user friendly, below I have created a step by step tutorial for those who have never used it before. Scroll down even further and you can watch a completed adobe spark video. And here is what an Adobe Slide Video looks like in action using the same content as you see above! Adobe Spark is easy to use and even has an App for iPad and iPhone. 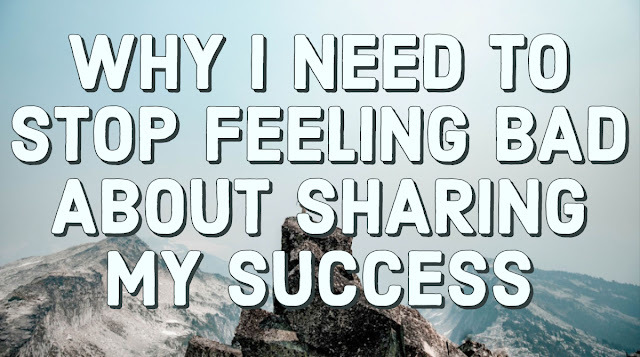 I especially love that you don't have to download the video, students can turn in the shareable link making the process of grading and sharing the videos much easier overall. 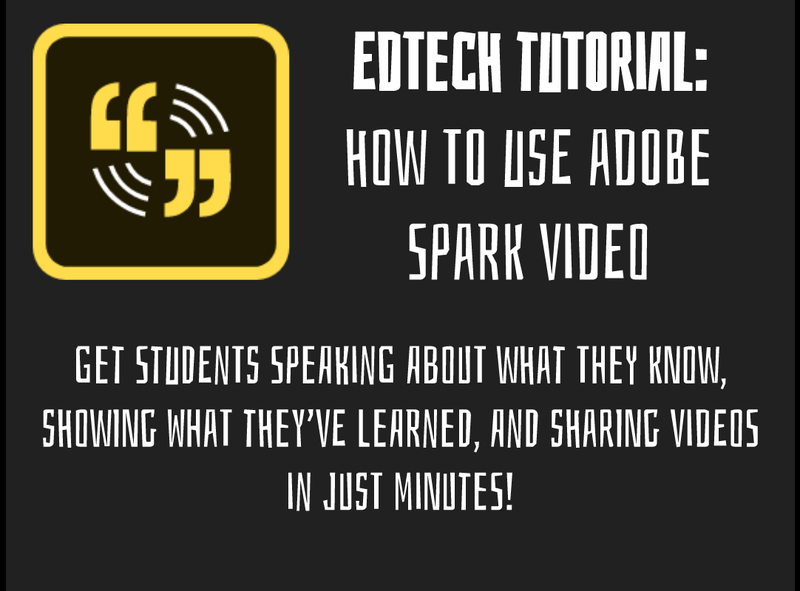 Have you used Adobe Spark Video in class? What do your students use it for? Share in the comments! I love the new C3 Framework from the NCSS. I think building a history class around 1. Developing questions and planning inquiries; 2 Applying disciplinary concepts and tools; 3 Evaluating sources and using evidence; and 4 Communicating conclusions and taking informed action is a fantastic way to make the learning real and engaging for students. Each step in the C3 Framework provides meaningful opportunities for students that are applicable outside of the history classroom. What I am not a fan of is how California took the idea of questioning and inquiry and created questions for their framework that were anything BUT compelling or engaging. Essential Questions by Jay McTighe and Grant Wiggins the missing piece in how I was approaching the C3 Framework and the California History Framework. The question of how to approach inquiry in the history classroom today has been a main focus of the department I am a part of. Just before break I had a conversation with another teacher about whether or not the inquiry model means you no longer teach content traditionally. We both felt hesitant about inquiry because our students need more structure than just: do projects every day. What I loved about this book is that inquiry is not just project based learning, inquiry is a classroom culture. By using essential questions that are open ended, compelling, and timeless, you begin to establish an inquiry culture in your classroom. The book goes into more detail on how to create and use the questions and how to establish the culture. This was one of those education books that had me opening up lesson plans and making immediate changes and revisions. 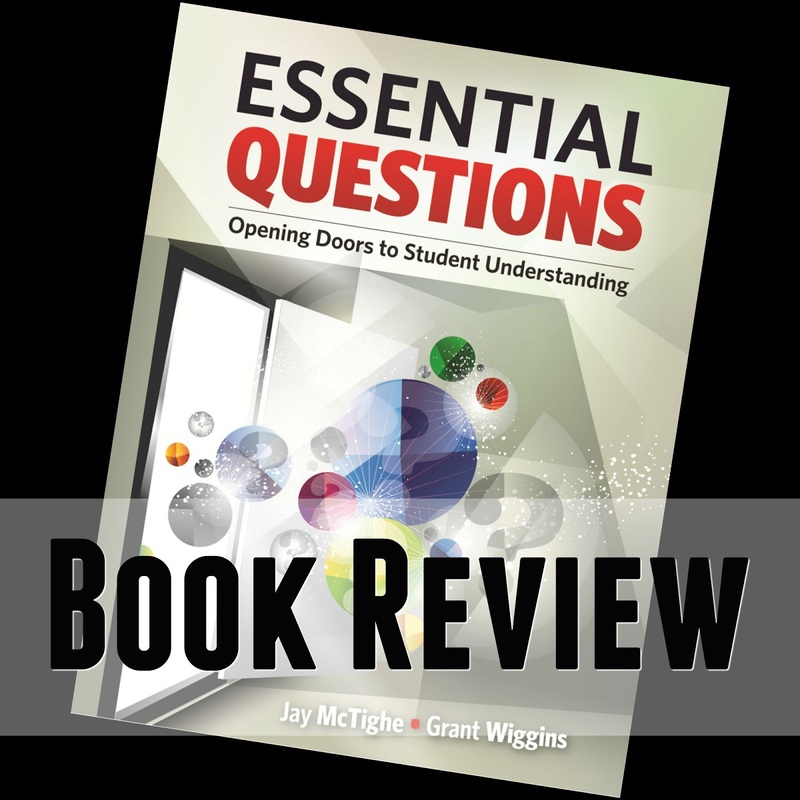 I cannot wait to try the new Essential Questions I have made using this book and I am really excited to use the framework presenting in this book to create a culture of inquiry. Have you read this book? What are your thoughts? Share in the comments! I decided to do One Little Word this year because I like the idea of setting a direction or intention that is simple and easy to remember. 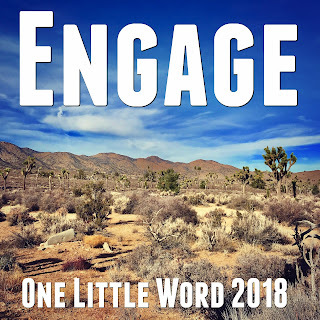 When thinking of what I wanted the word to encompass, I wanted it to be something that applied not only to my classroom and my professional development but also to my personal life. It didn't take long to come up with the word: Engage. For my classroom: I want my class to be meaningful and engaging for students. I want the rigor to be compelling, intense, and interesting. I want students to never look at the time. I want students to leave my classroom excited to come back next time. I want learning to be fun, engaging, and rigorous. If I can focus on engaging my students, I will get closer and closer to these goals every day. For my own professional growth: I don't want to be passive in my growth as a teacher. I want to seek opportunities and see them through. I want to meet others and build my PLN by stepping out of my comfort zone of passively reading online and getting out there and joining groups and organizations that can help me become the best teacher I can be. In my personal life: My husband and I have put a lot of things in life on hold for school, for career, for health, for money. I am tired of putting all our adventures on hold. Right this minute, he's looking at a new bike that we could take on or off road with bags for our backpacking equipment. It's been weeks of searching online for the perfect bike for him to fix up for us so we can get out there and go on new adventures together. We are both tired of scrolling through instagram and wishing it was us out there. It is time for us to get out there and live it. I am excited for 2018 and all the potential it brings. Do you have any goals for the New Year? 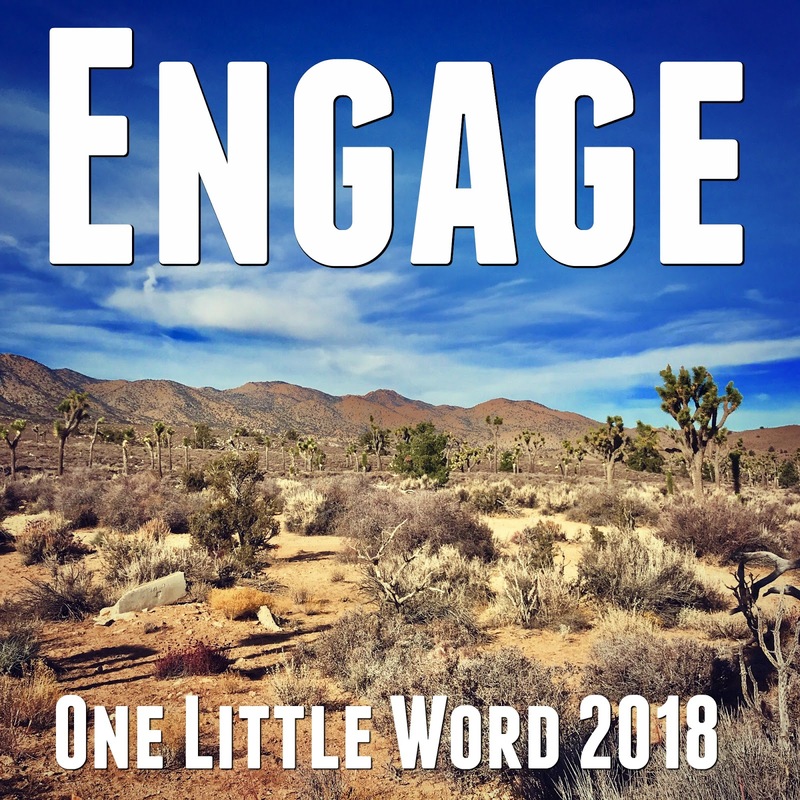 Are you participating in One Little Word? Share in the comments!